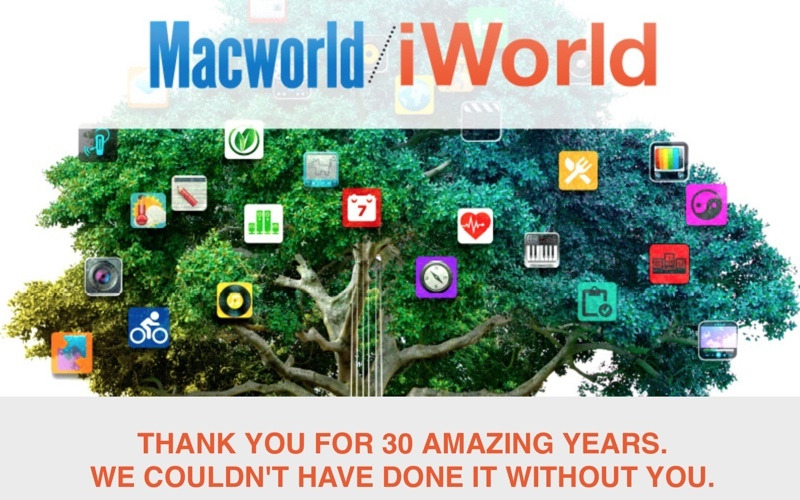 Macworld/iWorld will not take place in 2015 and the show is going on hiatus. The show saw a remarkable 30 year run that changed the technology industry, provided an important forum for Apple developers to bring new companies and products to market, delivered world class professional development to Apple product enthusiasts, and fostered the development of one of the most dynamic professional communities in the tech marketplace. Though the shuttering of Macworld/iWorld comes as a surprise, the expo's popularity has been on the decline in recent years. Prior to 2009, Apple attended the event and used it to unveil new products, drawing thousands of attendees, but the company pulled out of the conference after 2009 and instead began hosting all of its own events. Along with the Macworld/iWorld hiatus, Macworld also recently laid off several of its editorial staff members and shut down its print magazine. IDG's wording "hiatus" in the statement suggests that Macworld/iWorld could potentially return in the future, and the company still plans to hold its enterprise-focused MacIT event in 2015. I stopped going 2 years ago. I've been to every Macworld since 2003. I live only 15 minutes away from the city. It was always an amazing show of products. Better than CES. After Apple left it was just "Okay" but then the big vendors stopped showing up and the venue got smaller and smaller and very boring. This news article is funny because I am not at all surprised it's ended. The only thing I am surprised about is it didn't close down over 2 years ago. Cue the "Steve would have never pulled out of MacWorld"... when in fact it was him who decided. How was it a surprise? It was never a surprise. We know a few years ago that it would eventually disappear. Not surprising, these shows are so expensive and if attendance is low, it doesn't make sense. RIP, MacWorld Expo. Thanks for the memories! Ever since Apple left, no one cared. This used to be the place TO BE AT for Apple announcements. When Apple left do did the buzz that would generate every year at every Macworld. Happy trails! Did the community quite a service while we needed you! Knew that would happen. After Apple pulled out, no one showed up. It turned into Accessory World like it was back in 2006. The smart vendors didn't return the year Apple left and those that did stay saw a much smaller crowd. Same deal happened when Apple left Macworld Boston. They did it one year after and then stopped as no one showed up. Apple doesn't need Macworld anymore. It use to be that Macworld was the place that you'd go to see Macs. Now with their retail stores, you can simply go down the block and see their products. On top of that IDG charged Apple a TON of money to be at Macworld. Every employee that they had manning their booth had to be paid for to IDG. Apple had to spend likely more than a million just to be at an event that was all about them. It was silly. On top of that, they had to make sure that their products were ready on time for the event, which they hated doing. Now they can announce and release products when they're ready, rather than having to be on the spot to release them for the Macworld event.